After setting up world record of sending 104 satellites in space in on shot, ISRO engineers are now aiming for the moon. India's ambitious Chandrayaan-2 mission is being planned for Q1 of 2018, informed ISRO Chairman Mr. A.S. Kiran Kumar. He was speaking to the media at the convocation ceremony at Vels University in Chennai, Tamil Nadu. He further informed that the engineers and scientists are currently performing tests for controlled soft-landing on the surface of the moon. ISRO has developed a special crater at its Chitradurga facility to recreate the surface similar to lunar soil for the experiments. 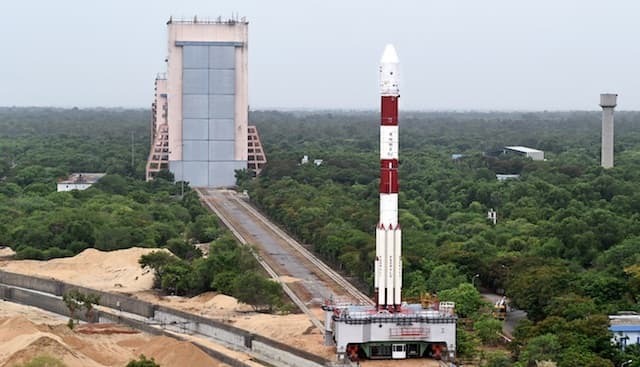 Chandrayaan-2 will be ISRO's second moon mission after the Chandrayaan-1. Unlike its first mission, which only orbited the moon; the Chandrayaan-2 will actually land on the lunar surface. A six-foot long rover is being developed that will carry out thorough soil analysis on the surface of the moon. The overall mission will have an orbiter that will orbit the moon at a height of 100km and also carry out high-res observation of the landing site. It will relay the communication from the rover back to ISRO mission control center. The lander will make a soft landing on the moon in order to deploy the rover. The lander was to be developed by Russia; but after Russians expressed their inability to provide the lander, ISRO decided to develop it in-house. The rover will move around on the lunar surface, pick up samples of rocks and soil using its robotic arm and perform chemical analysis using on-board sensors. The scientific data of the analysis will be sent back to the Earth. At the same time, privately funded Team Indus, which is participating in the Google X-Prize is aiming to land their rover on the moon by January 2018 with the help of ISRO. All we can say is that it's just a matter of time for traffic jams on moon. What do you think? Awesome, go ISRO! Go Team Indus!